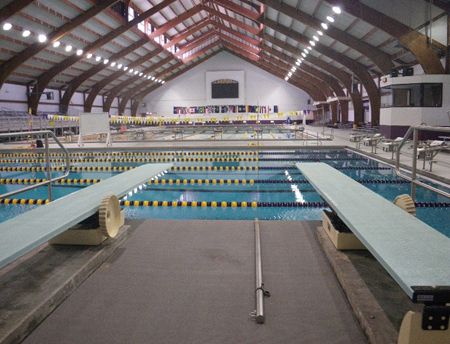 The Louisiana State University (LSU) natatorium is an NCAA swimming and diving facility serving as the home of the LSU Tigers and LSU Lady Tigers swimming and diving teams. The natatorium features a 50-meter pool which can be converted into two 25-meter or 25-yard pools with the use of bulkheads. Also included is a championship diving well with one- and three-meter springboards, as well as a 10-meter platform. The natatorium has a seating capacity of 2,200.